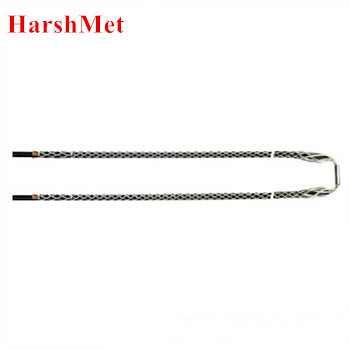 Splicing Grips (Snake Grip) with Rotating Swivel are used for changing wire rope on oil derricks, large cranes, overhead cranes and drag lines. the new wire rope can be pulled in as the old one is pulled out. The Snake Grip expands or contracts to grip different or identical cable and/or rope sizes as per the customer's needs. the swivel and swing link go smoothly through blocks and prevent line twisting . Install new cable by using old existing cable as pulling line .